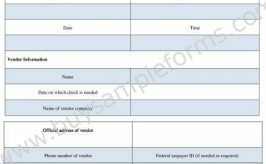 Every Business operators, organizations, and companies know that every activity carries some risks. 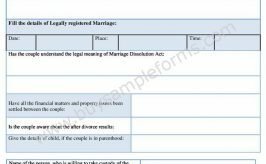 That’s why Liability form is very useful. 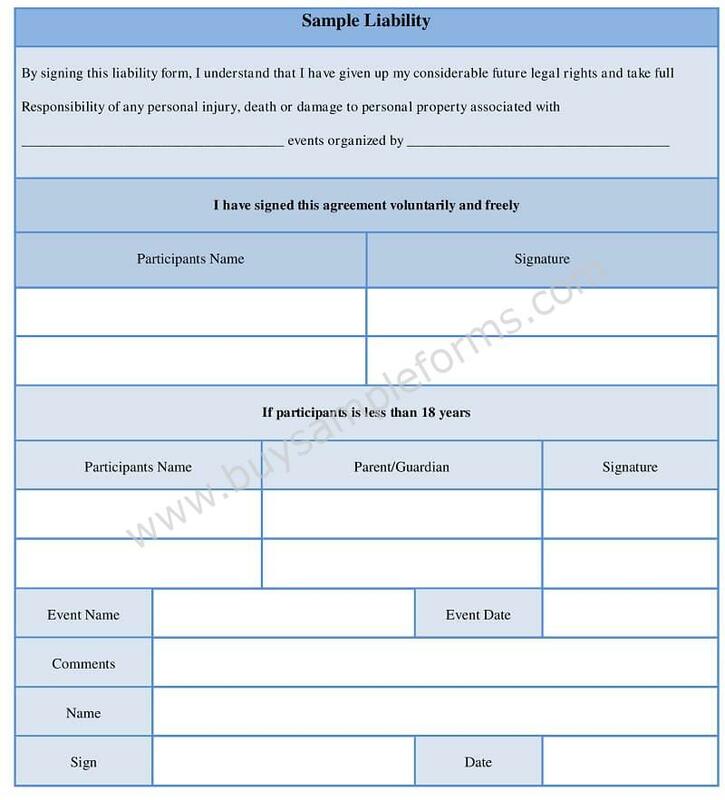 A liability form is a document, basically a legal agreement, which protects a business or person from liability for potential injuries or damages. 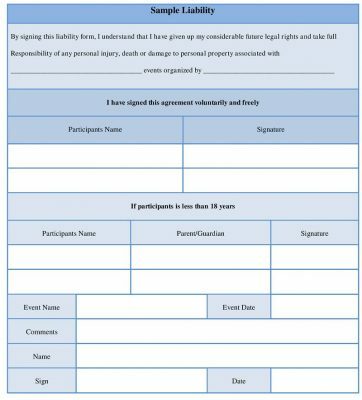 A release of liability form allows a business to limit liabilities by allowing the participant to sign a release before participating. 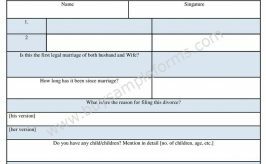 For the reference purpose, we have given a sample form below. You can view this online before downloading. 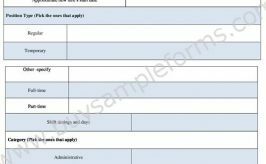 This is also editable so as to make it suitable as per your requirements.